The axe throwing trend has been knocking around Brisbane since last year, with a couple of key venues opening on the city’s fringe. Maniax, while already quite established in both Sydney and Melbourne, opened in Newstead last November, further solidifying what we coined the ‘new mindfulness’ movement. While we may be a little slower on the axe-throwing trend, Brisbane is now the first fully licensed axe-throwing location in the country. Recognising that we love a drink when we socialise, the team at Maniax have just been given the green light to serve alcohol on the premises. 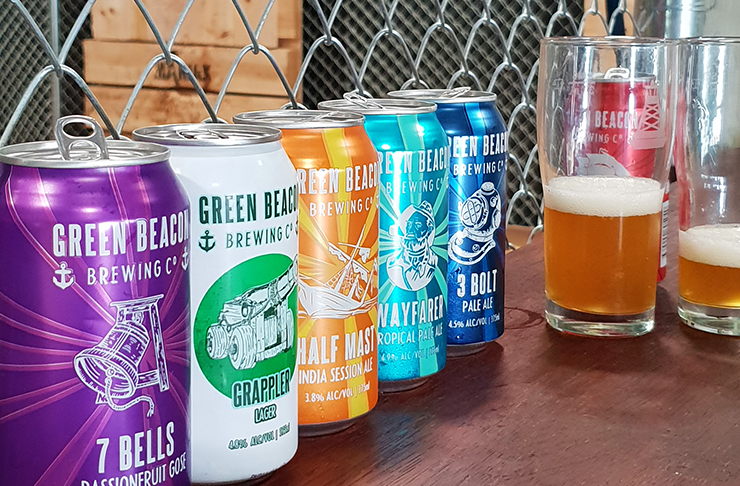 Keeping things hyper local, they’ve teamed up with Green Beacon and Newstead Brewing Co and serving up their award-winning craft beers, with a selection of 10 beer and cider varieties. Maniax co-owners Renee and Adam Schilling say of the landmark decision, “We’re streamlining the event experience we were already offering,” says Renee, “so rather than waiting until the action is over to head to our partnered breweries, you can keep the celebratory atmosphere in the venue." It goes without saying that a rigorous approval process has been put in place to ensure the safety of all Maniax’s guests. 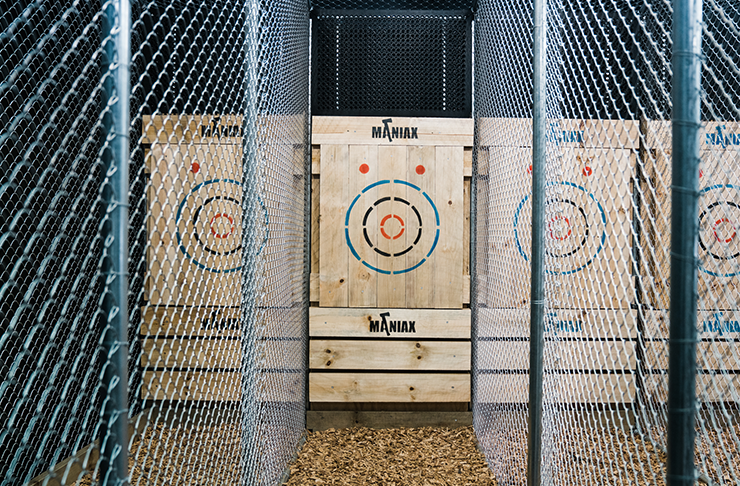 There is a three-drink limit for all players, and staff are highly trained, all carrying RSA accreditations and specialty axe-throwing coaching and safety training. So, know you’re in very safe hands. A bit of a turning point in Queensland; our reputation for incredibly strict alcohol laws have seen some of our most beloved venues close in the past 12-18 months, this is some reprieve for local businesses that ultimately want us to enjoy their venue and have a good time. Drop in and say hi to Adam and Renee next time you’re in the area and bring some mates for a frostie and few throws of the axe. The perfect afternoon if you ask us. Maniax is open Wednesday-Sundays from 11am. Check here for their full opening hours.